We featured two sets of short films from the New York International Children’s Film Festival (NYICFF): Kids Flicks One and Kids Flicks Two. Between films, families explored their own media making through free, hands-on activities in the Jane Peck Gallery. 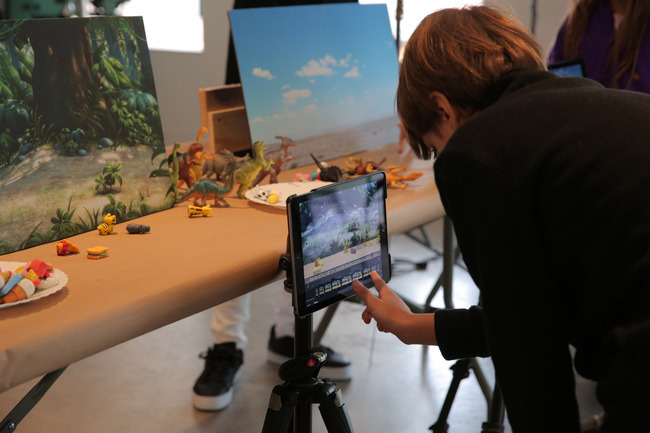 At the animation stations, families made stop-motion animations of forested dinosaur scenes and underwater adventures. 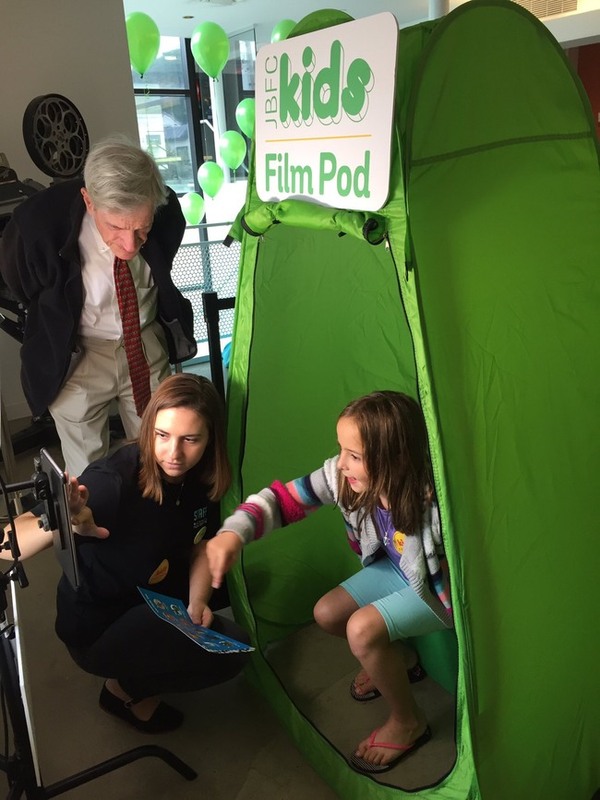 The film pod station encouraged children and adults to tell what they thought about the films while being green screened into scenes from their favorite short films. And finally, everyone joined forces to color in the giant floor drawing, which was captured in a time lapse video. One of the exciting aspects of art house theaters is that the experience of attending films is different than a traditional movie theater. Art House Theater Day was just that chance for audience members to participate in an “art house theater” event. Kids and their families voted for their favorite short films, in specially made ballots which also highlighted the many countries the films were from. In addition to the shorts from the NYICFF were two student-made short films, made in classes held at the JBFC. One of these even won first place in the JBFC Kids Audience Favorite Awards (you can see all the winners below)! We have many more exciting events coming up, including both viewing and creating opportunities. Check out all our upcoming JBFC Kids events here.